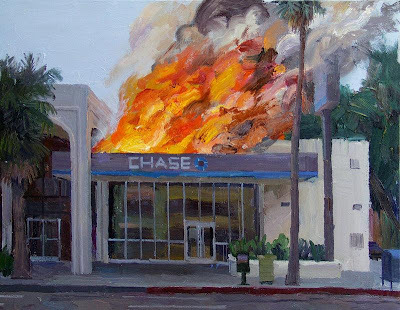 SilverDoctors: JPM Chase Burning Fine Art Sells for $25,250! JPM Chase Burning Fine Art Sells for $25,250! Last week alerted readers to a fine art depiction of alleged silver manipulator JPM Chase for sale on Ebay. Well, if you weren't willing to pay more than $25,250 (600 oz of silver), you'll have to settle for viewing it on your computer monitor.